The Shell Petroleum Development Company of Nigeria (SPDC) has shut the Trains Niger Pipeline (TNP) following an explosion and fire at a crude theft point on the 28" section of the facility at Bodo West. The TNP closure is affecting some 150,000 bpd of oil. Before the incident occurred SPDC closed the 28" TNP to rid it of crude theft connections. It has also closed the 24" section of the pipeline as a precautionary response to the fire; the whole of the TNP system has now been shut in. Shell says the 24" TNP will reopen when 'it is safe to do so', with the 28" TNP scheduled to commence operations once the blaze has been extinguished and an investigation and damage assessment carried out. 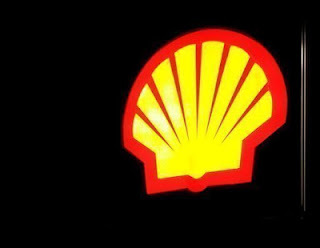 'This is another sad reminder of the tragic consequences of crude oil theft,' SPDC MD Mutiu Sunmonu said in a statement. 'Unknown persons continued to reconnect illegal bunkering hoses at Bodo West even as our pipeline team were removing crude theft points. It was therefore not surprising that the fire occurred from the continuing illegal bunkering even as a previous crude oil theft point was being repaired by the team.